Due to the Electoral College, the votes of 4 out of 5 Americans for the President and Vice-President don’t matter as much as they should. Why? What is the Electoral College? The Electoral College isn’t a building you can visit or an office you can email. It is the process by which a few people in each state cast votes for the President and Vice-President of the United States. Huh? You thought you elected the President and Vice-President? Nope. Not directly, anyway. You vote. That vote gets counted with all the other votes in your state. One person, one vote is not true for the presidential election. Whichever candidate gets the most votes in your state gets all the Electoral College votes from your state (unless you live in Nebraska or Maine). That means that, if you didn’t vote for the winner in your state, your vote doesn’t matter to the Electoral College. Electoral votes are divided between the states mostly by population. Population is updated every 10 years in the census and some states gain or lose votes according to changes in the total number of people who live in each state. 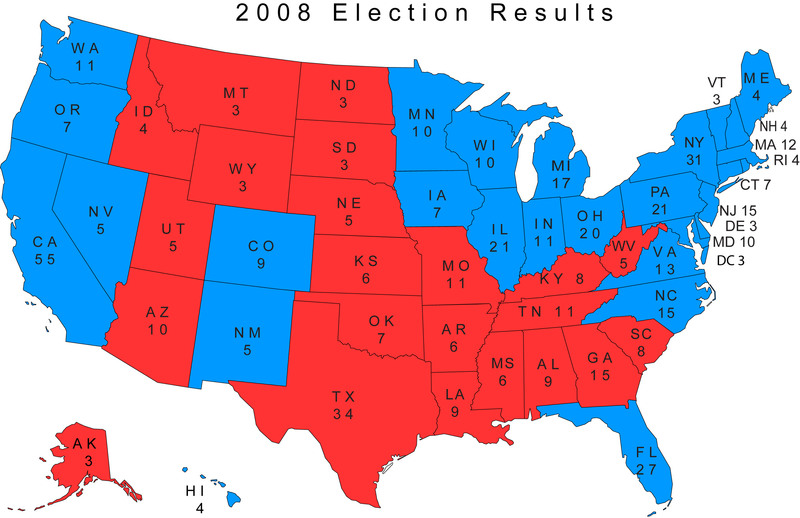 States with more people get more electoral votes than states with fewer people. It isn’t totally based on population. 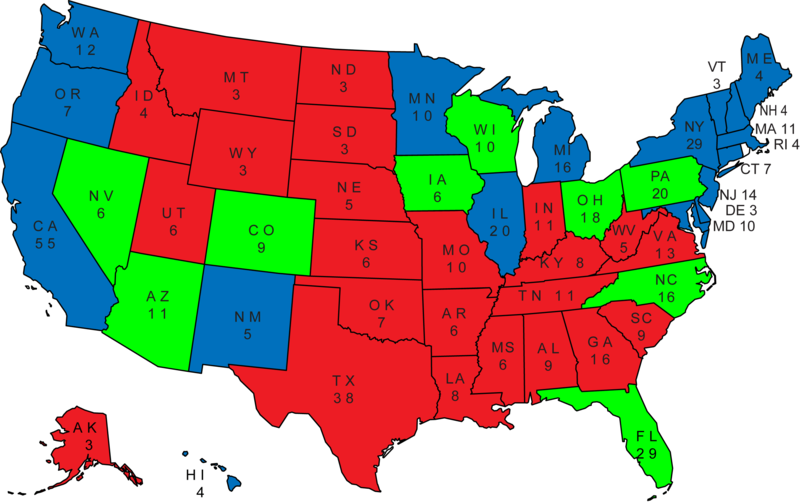 Every state gets a minimum of three electoral votes. There are 538 electoral votes in total. 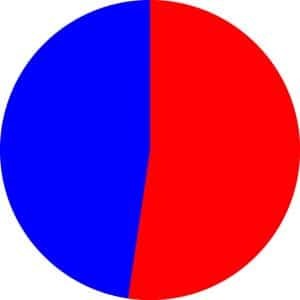 If the electoral votes were divided purely based on population. In the 2010 US Census there were 308,745,538 people in the United States. If votes were divided evenly, that would mean one electoral vote for every 573,877 people. But, because votes are first allocated at three per state, small states get more than their fair share. 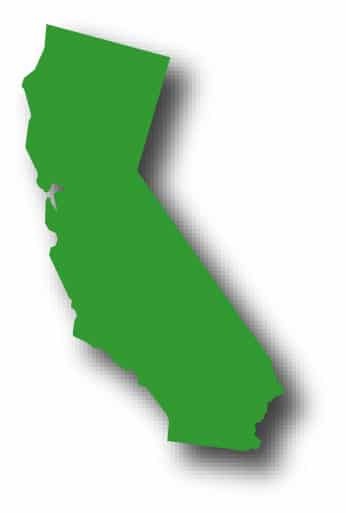 In 2010, California had the largest population with 37,253,956 people. If electoral votes were divided by population only, then California would have 65 electoral votes. 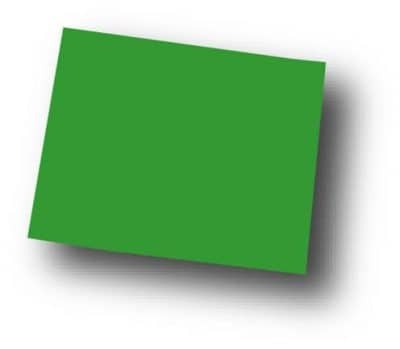 In 2010, Wyoming had the smallest population with 563,626 people. Based on population alone, it would get 1 electoral vote. Since every state gets a minimum of three electoral votes, Wyoming really has 3, and California has 55. States with more people give votes to states with fewer people. This means that it takes 3.6 California voters to = 1 Wyoming voter. There are 538 Electoral College votes. It takes 270 to win an election. 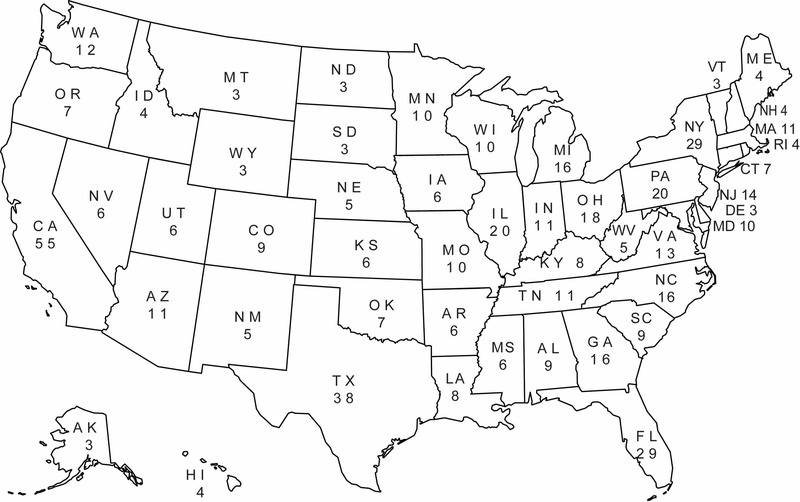 This is how many electoral votes each state has in the 2012 and 2016 elections. We want the winner of the popular vote, not the winner of the electoral vote, to become our President. The people who really vote for president and vice-president are called Electors. Electors are picked by the political parties at the state level. Unless you attend you state’s political convention and/or are a part of a select committee within your political party, you don’t get a say in who is picked to represent your state. Once the Electors get the outcome of their state’s popular vote, they then cast their vote for President and Vice-President. The Electors sign their names to old-timey pieces of paper that show how they voted. This has happened 157 times as of 2015. You vote. The votes in your state get counted. Whoever gets the most votes in your state wins all the electoral votes from your state. 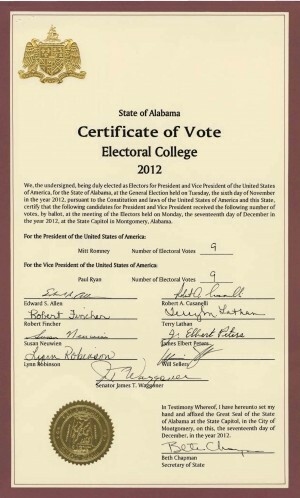 A small group of Electors do the “real” vote. A winner is declared as soon as there are 270 electoral votes for a Presidential/Vice-Presidential ticket. So what? What’s the problem with this process? The founding fathers didn’t trust that the average person would be well informed enough to vote. This was partly due to how long it took information to travel in the days where the fastest way to get around was by horse. They thought that the only people who should vote were landowners, and not even they were to be trusted with a true democracy. Now information is available to everyone; instantly, 24 hours a day, 7 days a week. The Electoral College no longer serves a useful purpose. The Electoral College is preventing the votes of Americans from being directly counted in the Presidential and Vice-Presidential elections. Because nearly all states have “winner takes all” allocations of the popular vote, everyone who voted for someone other than the winning candidate in that state immediately has their vote erased. It is possible for someone to win the popular vote but not win the presidential election because they lose the Electoral College. In the 241 years since the US was founded in 1776, there have been 57 Presidential elections – one every 4 years. Out of those 57 elections there have been 5 elections in which the popular vote candidate didn’t win the election. Well, we’ve mostly got it right, so what’s the big deal? We got it wrong 9% of the time. That is not acceptable when the fate of the country is in the balance. There are lots of ways to game the Electoral College. It would take only 51% of the people in the 11 most populated states voting for the same candidate to elect a President/Vice-President. Or, 51% of the people in the smallest states could elect a president with only 22% of the popular vote. 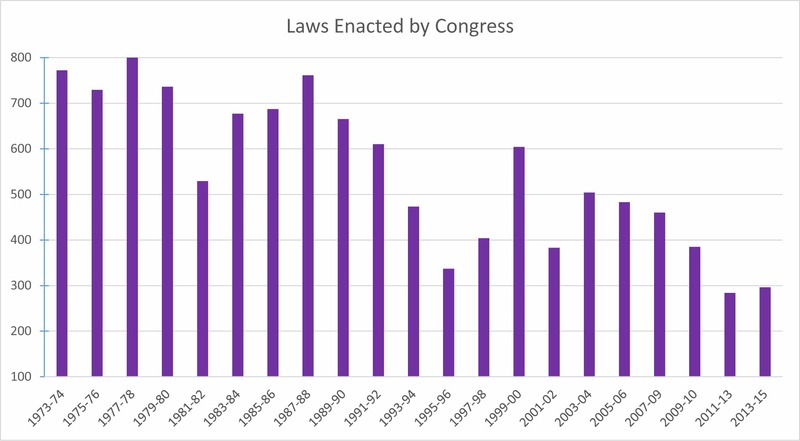 Because of past voting records, it is easy to tell which way the majority of people in most states will vote. There are only a few “swing states” in which the vote could go either way. Focus on a few big swing states and you could win an election. Live in a small state or state that is historically decided? No one from the big two parties cares about you or your vote. You’re a done deal. See if a candidate even bothers to show up in your state to campaign after their nomination. In the swing states, it’s much easier to raise money for your campaign if you are a candidate that pulls away from the center. 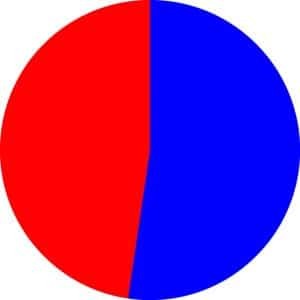 It becomes more clear who will and won’t vote for a candidate the further away from the center they get. This pushes candidates further from the center every election cycle as they attempt to game the Electoral College. Politicians need to be uncompromising to get elected. People feel like they don’t matter. 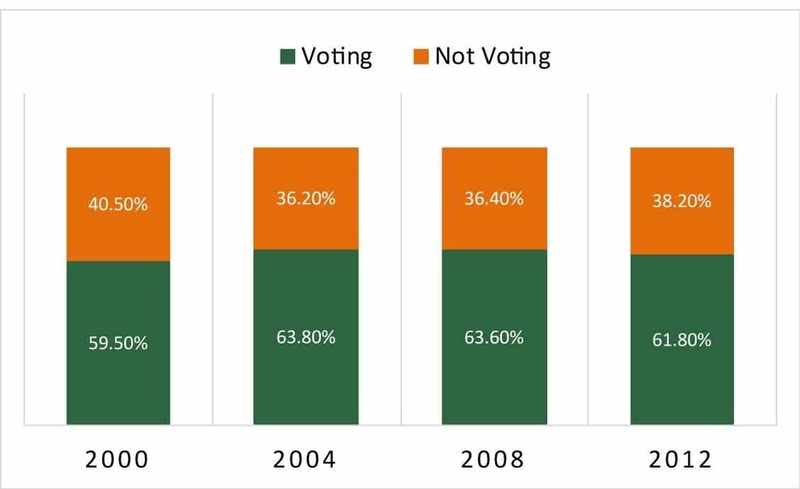 It seems like your vote doesn’t matter. The needs of the country don’t matter. 55,681,877 people lost their vote to the Electoral College in 2012. Politicians don’t pay attention to people who don’t vote. 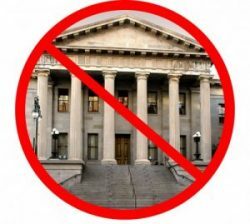 Millions of people are not represented in their government. You can change this! Join our mailing list to receive updates from Make Every Vote Matter.